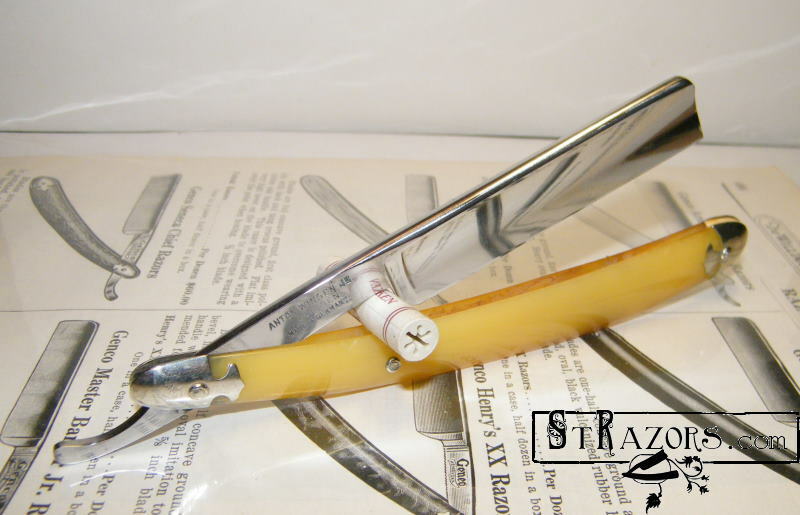 STRAZORS.com - all about classic razors - Anton Wingen Jr., Solingen. 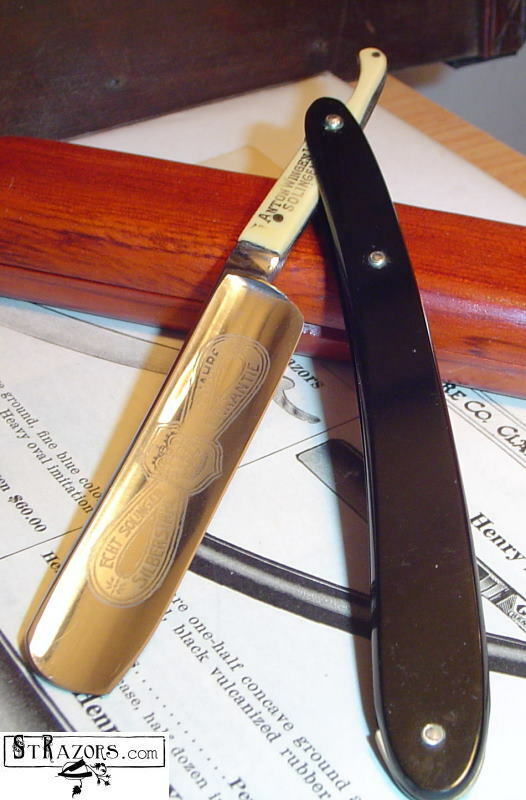 Another of the Solingen-based cutlery manufacturers, the Wingen firm was formed in 1888 to produce table flatware, knives, scissors and razors. Registered 11th November 1901, Solingen, Gasstrasse 54. A.Wingen made many contract knives for American companies. Wingen, whose premises in Solingen's Gasstrasse are shared with Wilhelm Clauberg AG, have common ownership with the Clauberg firm although both companies operate on independent bases. 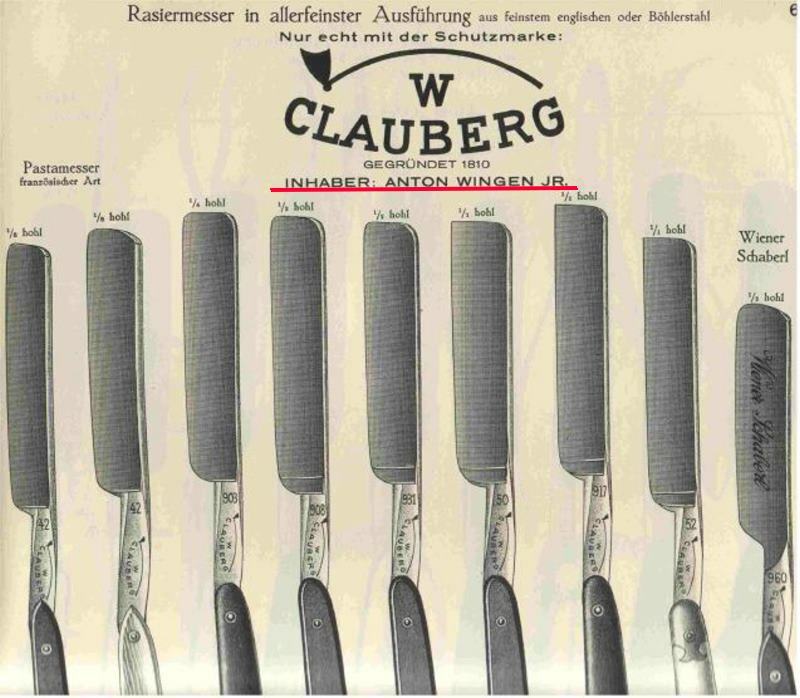 In 1920s, Wingen became the owner of Wilhelm Clauberg AG. From unproved sources, the company was closed in 1988. The tradenames OTHELLO and ROT PUNKT saw use on commercial wares.